Jack and Shane invite Jake Elman from the Palm Beach Post to discuss FAU's shocking upset loss to Charlotte. While trying to find blame for the disappointing season, the boys go over what will be needed this offseason in order to put the program back on track. 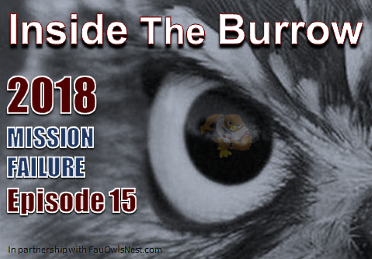 Finally, the guys turn the page by discussing Motor's future and FAU Basketball's success. Go Owls! Had we scored even a TD instead of the lone FG in 3 of our losses - we finish 8-4! THSAT small difference in scoring is it! The fact that we showed NO offense in 2nd halves of CUSA play this year WAS a disaster in itself. In our 5 CUSA losses we scored 26 2nd half points! TOTAL - AND 17 WERE VS. N. TEXAS IN ONE GAME! Shutout vs. Marshall and 3 each vs. MTSU, La. Tech and UNCC! WOW - HOW CAN THAT REALLY BE??? NOT VS. POWER 5 - IN CONFERENCE!!!!! !